Horse Wormers – Need help choosing your wormer? 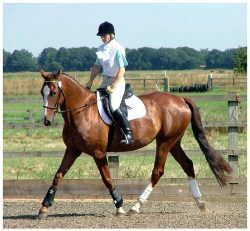 There a wide range of commercial horse wormers on the market, which are available from both online and offline sources. Don’t simply buy the cheapest horse wormers as you need them. Plan your de-worming and make sure you adhere to a good worm control program and rotate the types of wormer you use to ensure they remain effective. The list of commercial equine worming products below are wormers we are familiar with and which we have used for our own horses over the years. Download Your Sample Worming Program , with our compliments. The product names are known to us but each product is probably marketed by another name in different countries. Check the packaging and the ingredients if you wish to compare like for like. We do not recommend any one product, over any other and believe they all do the job they are supposed to do. It is up to you as the horse owner to ensure you rotate the horse wormers you utilise to make sure your horse obtains the maximum benefit from your worming program. You should definitely make sure you know what the ingredients in each product will do. 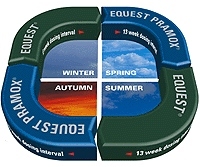 Equest Pramox contains Moxidectin and Praziquentel. This is a combination of two	drugs in one horse wormer and treats roundworm, tapeworm, bots and encysted redworm larvae stages in horses. Ideal to use in Spring and Autumn – Palatable Gel with No need for two syringes. Currently considered the longest lasting and most effective horse wormer. Tapeworm 6 months protection – Redworm 13 weeks protection. Licensed for use in foals from 6 1/2 months of age. Do not use for sick or neglected horses. SHOULD NOT BE USED ON PREGNANT OR LACTATING MARES. One Equest Pramox wormer syringe will treat up to 575kg. a complete years worming programme. Thats just one dose each season. For the treatment and control of adult and immature roundworms, lungworms and bots in horses and donkeys. Noromectin 1.87% Oral Paste for horses. Kills the adult and larval stages of the important internal parasites of horses. Contains ivermectin and titanium dioxide. Over 90% of all small redworm found in your horse will be encysted larvae. These will not show up on an egg count so the level of infection can be difficult to assess, but because of the unique way Moxidectin (the active Ingredient in Equest) works. Equest is the only wormer licensed to control all stages of encysted small redworm in a single dose. Equest also remains in the horses system for a further 2 weeks once treated thereby reducing the horses risk of re-infection and pasture contamination. Equest also has a lower toxicity to dung dwelling insects than the ivermectin based wormers. This again reduces pasture contamination as these insects help clear the pastures of dung. Equest is also highly economical as only 4 single doses are required for year round bot and roundworm control. This long dosing interval may also reduce the risk of resistance building up. Wastage is also reduced due to the unique clear gel formula which melts in your horses mouth meaning there will be no more spat out paste. Equitape is the sister product to Equest and is used for the specific SINGLE dose control of tapeworms. It is estimated that tapeworm infection in horses is increasing. As many as 2 out of 3 horses may be infected by tapeworms. Praziquantel (the active ingredient in Equitape) has been for many years used to control tapeworms in cats dogs and even humans. Panacur wormer All 3 can be used on pregnant mares and young foals. This is a granular form of the Panacur Paste, easily administered by mixing with your horses daily feed. 1 sachet will treat up to 300 Kg bodyweight. Eqvalan has the naturally derived Ivermectin as its active ingredient. There is no known resistance even though over 200 million doses have been used since it was launched. Eqvalan kills more types of worms than any other wormer. Including large redworms, small redworms, pinworms, large roundworms, threadworms, hairworms and many other parasites including bots. Its weakness is that it is ineffective against tapeworms. Eqvalan can be used safely in pregnant mares and young foals. It comes in syringe form and 1 syringe will treat up to 600KG bodyweight. Foals should be treated initially at 6 to 8 weeks of age and then every 8 weeks until they are 18 months old. Older horses should be treated every 8 to 10 weeks. Eqvalan Duo combines two ingredients: ivermectin – to control all the common roundworms and bots plus praziquantel to control tapeworms. This is an alternative to double doses or multiple treatments and takes some of the complication out of worming programmes. Equimax contains ivermectin for routine worm control and praziquantel one of the world’s most effective tapeworm treatments. Ideally Equimax should be used at the beginning and end of the grazing season to provide maximum control against roundworms, tapeworms and bots in the spring and autumn ensuring your horse starts and ends the year as free as possible from worm infection. Eraquell is the sister product to Equimax, containing the active ingredient ivermectin which kills more roundworms and bots than any other worming ingredient. Eraquell plays an important part in your strategic worming programme, providing unsurpassed control of worms during summer grazing. Eraquell is an oral syringe with a specially designed short body to suit even the smallest of hands. Dosage intervals are 8 to 10 weeks and each syringe now treats up to 700kg in each syringe and is marked in weight divisions making for easier accurate dosing. Embonate making Strongid P highly effective against gut dwelling roundworms. A double dose will also provide effective tapeworm control (tapeworm treatment is best in the spring and autumn) Strongid P will also treat benzimidazole resistant strains of small redworms. Dosage intervals are 6 to 8 weeks but during summer (when at grass) dose every 6 to 8 weeks. The oral syringe which also comes in caramel flavour will treat up to 600 Kg bodyweight whereas the granules which are administered by mixing with the feed will treat up to 300 Kg bodyweight. Please remember that a DOUBLE dose of Strongid P is required for tapeworm control. Pyratape P contains the active ingredient Pyrantel Embonate making it an effective treatment against large and small redworms , ascarids and pinworms. Tapeworms are also controlled by using a double dose. Contains Ivermectin and is effective against most common worms except tapeworm and encysted small redworms. It treats lungworm in horses and donkeys. A dose for Bots is best given after a hard frost has killed the last bot-flies. ie around Christmas. Related Content Collaboration Shared Goals cymbalta tablet kullananlar Lesson Overview Students learned about..